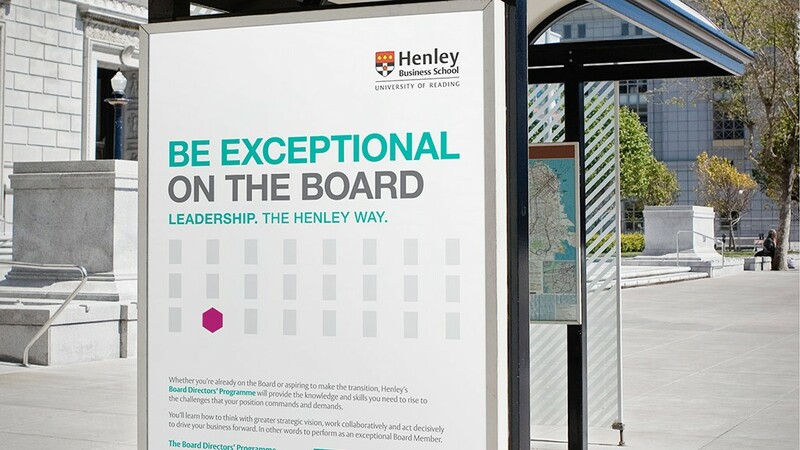 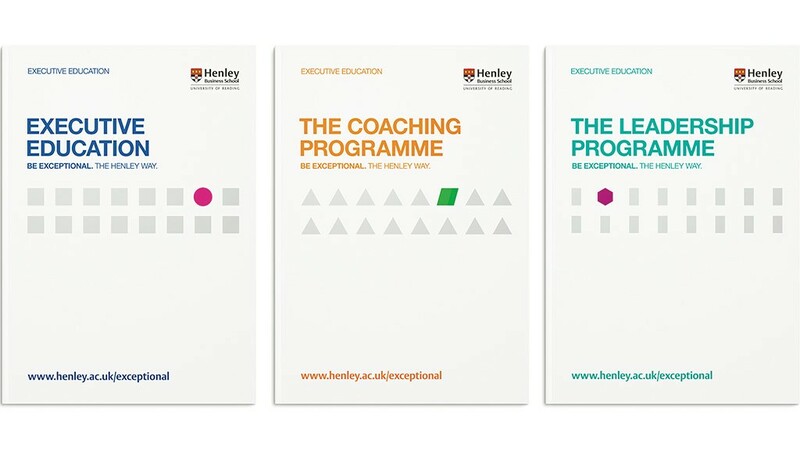 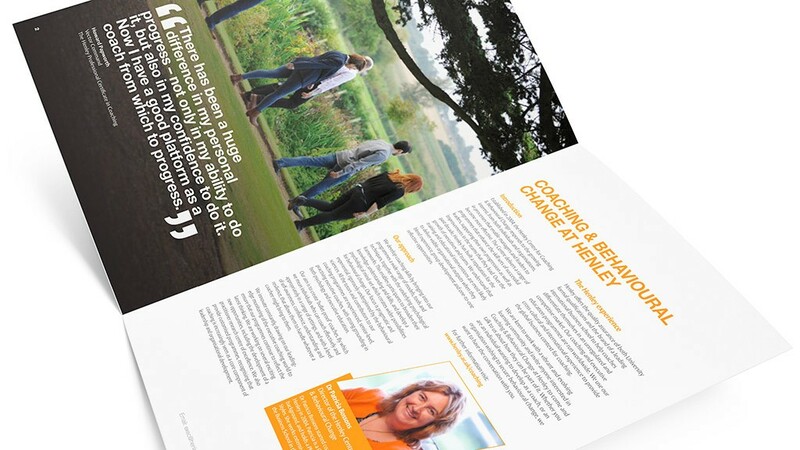 Whilst working at SERIOUS, Henley Business School asked us to design an identity for their flagship Executive Education courses. 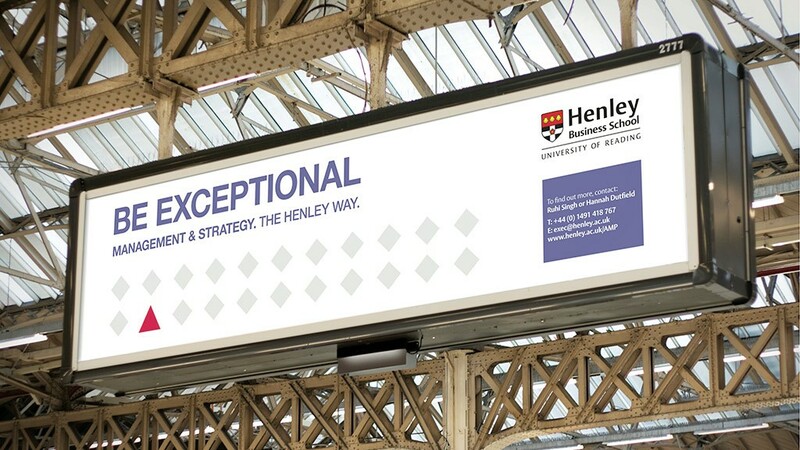 Starting with a concept devised by the Creative Director, I was involved in developing the final look and feel, as well as their numerous executions. 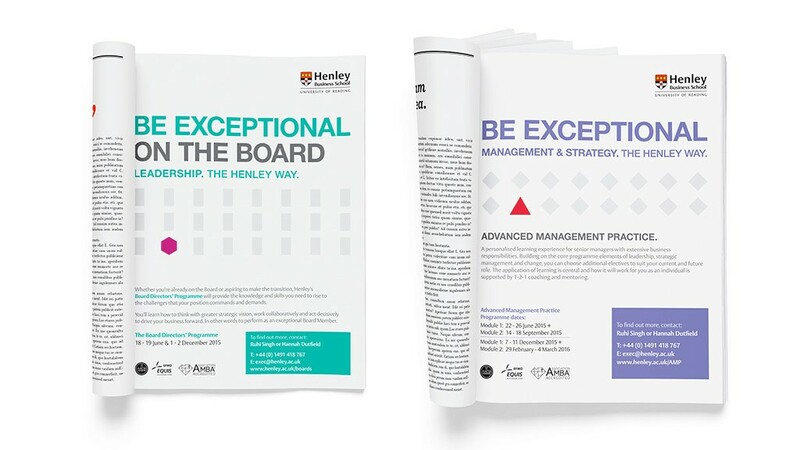 In a bid to buck the photography-led educational trend, we created these minimalist designs to clearly represent the strapline, “Be Exceptional”, in a succinct manner. 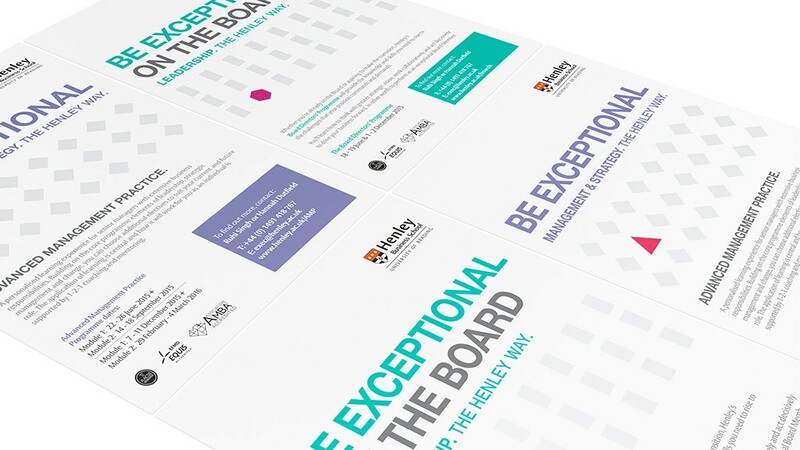 With the individual course stream identities designed, we set about creating a set of advertisements, flyers and brochures, each strictly following their own rigid colour and shape themes.